The purpose of an iridotomy is to preserve vision, not to improve it. First, your ophthalmologist will place a drop in your eye to make your pupil smaller. This stretches and thins your iris, which makes it easier for the laser to make the pinhole sized puncture. 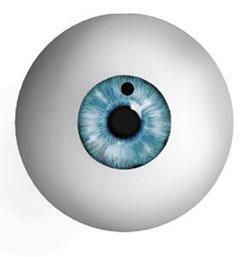 Next your doctor will place a special contact lens on your eye to focus the laser light upon the iris. This lens keeps your eyelids separated so you won’t blink during treatment. It also reduces small eye movements so that you don’t have to worry about your eye moving during the treatment. To ensure that the contact lens doesn’t scratch your eye, a special jelly will be placed on the surface of your eye. This jelly may remain on your eye for about 30 minutes, leading to blurred vision or a feeling of heaviness. During the laser treatment, you may see a bright light, like a photographer’s flash from a close distance. Also, you may feel a pinch-like sensation. Other than that, the treatment should be painless. Your doctor may ask you to continue using eye drops to make your pupil smaller for a few days following your laser treatment. These drops can temporarily cause blurred vision (especially at night) and may also give you a slight headache. Your doctor may use other drops, both before and after your treatment to control your eye pressure. Still other eye drops may be used to reduce inflammation. If you and your doctor decide that laser iridotomy is an option for you, you will be given additional information about the procedure that will allow you to make an informed decision about whether to proceed. Be sure you have all your questions answered to your satisfaction. If you would like more information about this procedure you can request an appointment orcontact the office.